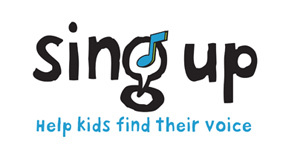 Home›News & Events›Have you joined Sing Up yet? Have you joined Sing Up yet? Sing Up have now launched an exciting membership scheme offering an array of resources to enjoy. Available to join either as a Friend, Individual Member or School/Organisation, benefits include access to the Sing Up website, song download credits, Sing Up training and more.